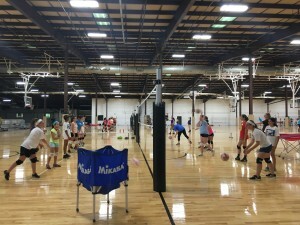 The Mill Works has 6 courts that can be set up for volleyball. We host tournaments and offer volleyball drop-in and pick-up times. 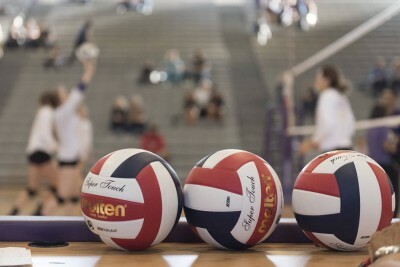 Our volleyball courts are available to rent for practices, tournaments, parties, etc . Email us at info@millworkswestford.com to ask about availability and pricing. Members can come in anytime with a group for drop-in volleyball. The courts are often free during the day, call for availability if want a court set up for you. See our drop-in page for details.